San Francisco is one of the largest industrial and technological hubs in the world, housing a number of Fortune 500 companies, startups, and privately-owned entities. 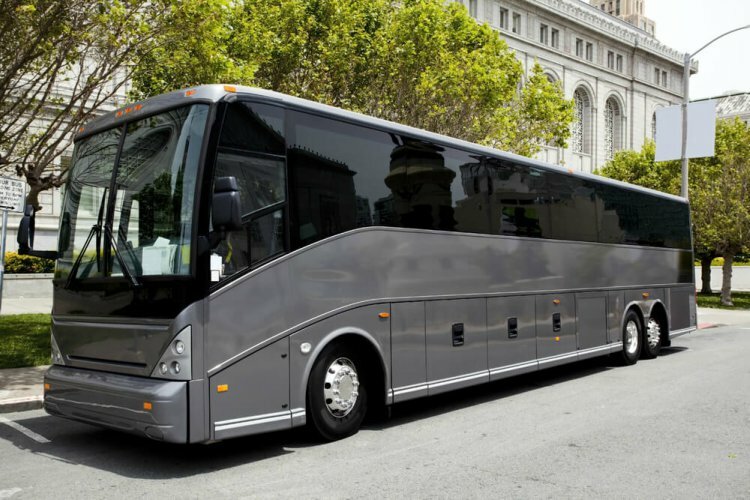 When these businesses need fast, dependable transportation to and from their corporate events, they trust San Francisco Charter Bus Company to get the job done. Our dedication to providing cutting-edge transportation solutions, pristine customer service, and memorable traveling experiences make us the most sought-after charter bus and minibus provider in the Bay Area. Call us today at 415-404-6456 to find out why everyone in the Bay is raving about our services. We understand how important it is to be on time when attending a corporate gathering. When you book with us, we make sure that drivers arrive at least 15 minutes prior to the scheduled departure time to keep you on track. Our reservation specialists work with you to create an itinerary for your trip, so no time is wasted on the road. If you have time-sensitive work that needs to be done, you can even request WiFi and power outlets so your employees can plug and get work done while on the road. Make every second count, and book with us to secure a fast, efficient journey. No matter what the event is, we’ve got the resources to accommodate your needs. If you have clients coming in from out of town, we can organize a minibus to pick them up from the San Francisco International Airport or the Oakland International Airport and drop them off at their hotel. If you have a trade show or convention approaching, we can transport your office equipment in overhead cabins and luggage bays. Are you playing host to a bunch of high-priority clients prior to a major business meeting? Let us be your personal courier with a customizable charter bus, so you can focus on closing that deal. Don’t leave any money on the table, let us help you make the most memorable trip possible. Traditional forms of transportation are no longer the most efficient way to accommodate business trips. While public transportation and rideshare apps may have worked well in the past, motorcoaches prove to be a safer, more dependable choice. Mitigate the stress of travel by booking with San Francisco Charter Bus Company. We handle all of the little details so you can focus on taking your corporate gathering to the next level. Call one of our 24/7 reservation specialists at any time for a free quote at 415-404-6456 .